Bess Price speaks on family violence, safe communities and making better economic use of Indigenous lands. The following speech was delivered by the Hon Bess Nungarrayi Price MLA at the National Indigenous Conference on Keeping the Spirit Strong, for Men and Women, held in Darwin on 28 September 2015. Good morning everyone! It is a pleasure to welcome you all here this morning and to have the opportunity to share our stories and get to know one another on the path to ‘Keeping our Spirit Strong’. 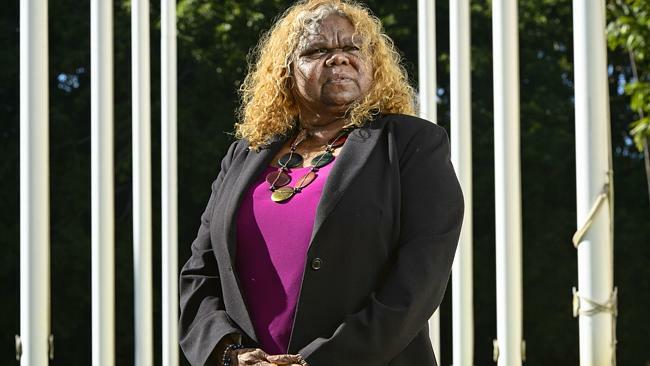 My name is Bess Nungarrayi Price and I am a Warlpiri woman from Yuendumu, a community in Central Australia and I am a Minister in the Northern Territory Government. I am very excited to be standing here before you to open an event that is about maintaining a strong culture and making for ourselves a strong society in the 21st Century. Before I talk to you about what I do right now as a Minister, I would like to talk about my journey, my story, an Aboriginal woman’s story. I was born in 1960 into a large traditional Warlpiri family at Yuendumu. My parents were about 12 when they first saw whitefellas. Many of my relatives were still coming out of the desert when I was born. I grew up in a humpy with my big family. I was always warm and dry and happy. I was proud of my parent’ skill. They could build the best humpy for their kids. Every weekend we would walk around thirty kilometres to my father’s country South of Yuendumu eating whitefella tucker on the way at the farm my uncle ran and bush tucker the rest of the time. We slept on the ground like our ancestors. And every Sunday my Mum and Dad made sure we got back in time for school. My family taught me resilience, patience and a deep rooted value system that was all about pride in my culture, caring for my people and my family, respect for our Law and the importance of our country but also respect for others with a different Law who had something to offer us. Francis Jupurrurla Kelly, chairman of the CLC, and many Warlpiri men of his age have told me that they learned our Law from my father. He was a ceremonial leader, a Law man. Along with Darby Jampijinpa Ross and other old Warlpiri men he wanted to keep the best of our culture and Law. They built the Men’s Museum at Yuendumu to keep safe the things that were most precious to them from our ancestors, raising half the money themselves, not asking for everything from the government. They wanted to keep the best of what we had for their children and grandchildren. At the same time they built the church at Yuendumu. They wanted to take what they saw as the best that whitefellas had, the best of Kardiya Law. That is the tradition that I learned from my father. Keep the best of what we have and take the best of the new things that are being offered to us. That is what I am trying to do now as a member of this government. Education was valued in my family, both Yapa – Aboriginal, and Kardiya – whitefella, education. My family were smart enough to see the value of education for the future of my people. They knew that we had to know who we are, and be proud of who we are but they also knew how important Kardiya education was in being able to survive in a modern world. That world is getting more dangerous for us, not only because of what is being done to us but because of what we are doing to ourselves. We need education both ways more than ever. I went to school at Yuendumu first. My parents, my aunties and sisters and cousins all worked at the school so I was completely comfortable there. We were lucky to have bilingual education from 1974 and we were needed to make that happen. I loved to read books, I loved to learn about other places and other cultures. I had my family but I also had plenty of Kardiya friends that I spent time with. My teachers spoilt me a bit. I already had Warlpiri but my teachers taught me to speak, read and write English before the bilingual program started. I then knew how to read and write my own language as well. I went to Kormilda and Yirara for my secondary education with some classes at Alice Springs High School. I still have a lot of Aboriginal friends from right across the Northern Territory from that time. I started working at Yuendumu school when I was fifteen, in the bilingual program. I have worked or studied all of my life since then. Being raised in a traditional Warlpiri culture, I was promised as a child bride to my sister’s husband and there was an expectation that I would start living as his wife when I was just thirteen. I rebelled. I respected my promised husband. He was a good man. He never hurt my sister. Like my father, he loved his wife and did his very best for his kids. But I wanted to finish my education before I had adult problems to worry about. In those days rebellious young girls like me were usually beaten up and forced into marriage. That was our Law. My father and promised husband were wise and good hearted men. My husband calls them ‘philosophers’ who knew that there is a difference between the letter of the Law and the Spirit of the Law as whitefellas say. They gave up trying to force me and gave me permission to stay at school. They said that we could talk about marriage later. But I was very young and ignorant so I became a mother before I turned 14. Like it happening to too many of our girls now, that happened because I had no idea what I was doing. I went into Alice Springs to have my baby with no idea of what was about to happen to me. In the old days women learned of these things as it happened to them, educated by the experience and the wise company of older women while they had their first child. That mostly doesn’t happen anymore. Kids go to have kids in hospitals without their mothers and grandmothers by their side. Then I learned, first hand, the meaning of family violence. Back then where I lived it was accepted as normal and not spoken about publicly. Men had the right to beat their wives. Others watched and did nothing. They still do. My brothers and other male relatives tried to protect me when they could but it still went on when they were not there. When my husband came along I had already left the father of my son. He fell in love with me and asked my family for their permission to marry me. My whole family including my old promised husband agreed and have always supported our marriage. My promised husband told me that I could go back to him if it didn’t work out with my Kardiya husband. That is what I would have done. My husband’s family welcomed me from the start and have always loved and respected me. My mother and father always loved and respected my husband and he always returned that love and respect. He tells me that my father and promised husband are the two men in his life he has respected the most. Our marriage has been hard because we come from such different cultures and we still disagree about a lot of things but we are still together because both our families have always supported us. Two cultures can live and work together, we are the living proof. Family violence means different things for different people, but in reality Aboriginal women have experienced physical and mental abuse at a much higher level than any other group of women in Australia. At a much higher level. And our children suffer more abuse and neglect than any other children. This is our problem and no matter how hard they try whitefellas aren’t going to fix it for us. The Prime Minister wants to make family violence un-Australian. I want it to be un-Aboriginal as well. Kardiya can support us but they can’t fix it for us. They’ve got their own problems and they have enough trouble dealing with them. Our 18 year old great nephew suicided unexpectedly several months ago. He was my husband’s, brother’s grandson and therefore, Warlpiri way, he was our grandson too, mine as well. We had no answers to the question ‘Why?’. We were all shocked and saddened and felt helpless. There is one thing you learn from being married to a whitefella. They aren’t masters of the universe. There are many things we can teach them if they can learn to listen to us. We have to own our problems and do something about them ourselves. I am a government minister. I cannot fix my people’s problems but I can help them fix their problems themselves with their advice and support. Leadership, is not about telling people what to do. It is about bringing out the best in those you lead, giving them the confidence to choose for themselves and find their own way. I don’t see our mob as a bunch of useless victims who can’t help themselves. I see us as the world’s champion survivors and adapters. If we weren’t we’d all be gone by now. Before I was born my mother lost three baby sons. She had a daughter taken from her and was told that she’d died. My sister didn’t have a white father. She was one of twins. We believe that she was taken because, in the old days, sometimes one of a set of twins was left to die. My mother wouldn’t have done that but she wasn’t asked. Three years after I was born another of her baby daughters died. When I was six I survived meningitis. I never heard my parents complain about any of this. They just kept going. Thirty years ago we lost our beautiful boy to leukaemia. He was healthy and strong with none of the health problems that hurt so many of our kids in the desert. Then he was taken from us by a rare disease. That experience broke our hearts. We will never completely get over his loss but we know that his spirit is still with us. That time death won the battle. But we won the next couple of rounds. Two years after we lost our son my kidneys collapsed completely. I had a transplant in 1987. My brother who gave me his kidney, and I, are the only ones left out of my mother’s eleven children. He is now on dialysis and has diabetes. Apart from family violence and disease, my life has been threatened by men armed with knives and machetes. They were not strangers, they were men I grew up with, relatives to me. Our families were feuding at the time. We’ve always done that. That is not one of the best parts of our culture that we should keep. Still I survived that threat and I was protected by the police. I thank them for that. Three of my brothers, good men who never hurt their wives or kids, died from grog. My 21 year old niece died from grog. Another niece died in a car crash because the driver was drunk and her husband decided to hit her while she was driving. One of her sisters was run over deliberately by a drunk man while she lay on the ground asleep. I could go on with stories like this but I won’t. I’m sure there are many others in this room with the same kind of stories. We should not keep silent because of shame. We should speak up about these things. I will say that I am tired of white women telling us that men have to change their attitudes to stop violence. This is true but it is only part of the story. My sister and my sister in law were both stabbed to death by other Aboriginal women. Everybody’s attitude must change. I know many good men who love and protect their wives and kids. But we don’t hear their voices enough. And I know women who are always fighting and threatening other women. We have to speak against that as well. Just demonising men, or whitefellas, will not stop violence. It is a problem that affects us all, every family in some way. The perpetrators are our relatives as well as the victims. My own nephew has served time for bashing his young girlfriend and I have just learned that my sister’s grandson has just done the same thing. He’s in his early teens. My family needs to change as well. My family needs help and needs to take responsibility. All families do. I am so proud and happy when I hear of stories like that of Gayili Yunipingu. Tired and saddened by the suicides of young people in her community she simply went out and showed them love, listened to them and gave them advice. Now there are no suicides in her community. That wasn’t the result of a government funded program, that was the power of a loving grandmother. We all should learn from her and do the same thing. Love our kids, listen to them, teach them to respect others as well as themselves. Use the strength of our kinship, that we say we’re so proud of, to love, protect and teach. I have told you something about my story and I have probably got off the track a bit. I believe that I have survived. I have been kept alive for a purpose, to do what I am doing now. That’s why I stay in this crazy job. Sometimes I feel that the whole world is out to get me because I’m a politician. But in the quiet I hear my father’s voice, and my son’s, encouraging me to keep going. My husband and daughter do the same although not so quietly. I am blessed with a big loving, mixed up family. My strength comes from the wisdom and love of my Mum and Dad. I have learned from them that we can adapt and change our way of life to find the answers to the problems that we have now, but that our ancestors never knew, when they passed down the Law to us. We need to Keep the best of who we have always been. We need another generation of wise elders like the ones who’s taught us to face our problems with pride and courage not like cringing victims. I know who I am. With my sisters, brothers, aunts and fathers I am Kirda for my father’s country at Kirrirdi, Mawuwurrungu, Yampirri and Kunajarrayi. And, with them, I am Kurdungurlu for my mother’ country at Yumurrpa and Yinjarramurru and Nyirrpi. These are all in Warlpiri country. My child spirit comes from a Yunkarranyi, honey ant Dreaming place in Anmatyerr country. My family has been lucky to get our country back thanks to the NT Land Rights Act. Knowing all this makes me feel strong. But it also makes me feel great that I have a degree from Curtin university, and that I have been elected to Parliament. That I have succeeded Kardiya way. We have to build on the spiritual strength that we inherit from the old people with new ideas and knowledge and skill to make something that is still ours that will work better for us. That is not becoming ‘White’ that is taking the modern world that we live in now and making it ours. Wherever I go in Australia I feel the presence of the old ones from the country that I am in. They are still there right across the country if you know how to feel and listen. This whole country is still alive. We must turn that into the strength to make us confident in the raising of our children into caring, loving, strong adults who believe in themselves and their culture and know how to cope with life’s problems. I stood for parliament because I was sure that’s what my father would have wanted me to do and that his spirit and that of my mother, of my little boy and all my old people would be with me all the way. I wanted to become a law maker for everybody in the NT not just for my people because we all live together here. Whitefellas voted for me too and I get a huge amount of support from Kardiya in the bush as well as from my own mob. Most of the Kardiya I know are on our side and want us to find our own answers. One dear, old. white lady from Timber Creek told me that every week she goes to church to pray for forgiveness for the way her people treated mine when she was younger. There are a lot of good hearted Kardiya out there, like her, and I am proud to be their MLA. I am also proud to be a Minister of the Crown in the first government in our history to be led by an Aboriginal Australian that governs for everybody. And we are trying our best. Politics is an interesting and challenging job to have. At times it is bitter and nasty, not just between government and opposition but, sometimes within your own team. The lateral violence that has plagued our communities in the struggle to survive both worlds is alive and well in the Political arena amongst Aboriginal politicians as well as the Kardiya politicians. It is unrealistic to expect that all Aboriginal people share the same views and opinions. There is no one Aboriginal view on anything. Like human beings anywhere we argue and disagree. That’s what politics is about and I have learnt my trade through Aboriginal politics so I can cope with anything. I have struggled with other Aboriginal colleagues as well as white ones. That’s politics. We should stand by our beliefs and stick to them. But we should put jealousy aside and learn to work with each other for the good of those who elected us, those who we claim to represent. We should be willing to work with anybody with a good heart who wants to know the truth. I still have great respect for Marion Scrymgour, who I call ‘jukana’, cousin, and Malarndirri McArthy, I call her ‘Jaja’, granddaughter. My husband and her father used to work together many years ago. I disagreed with some of their party’s policies but I always recognised that they genuinely believed that they were doing the best they could for our people while they were in government. I’d be happy to work with both of them now that I’m in government. I was happy and proud as local government minister to recently agree to Marion’s appointment to the job of CEO of the Tiwi Council. So what is my government trying to do? The Northern Territory has the highest proportion of Aboriginal people in Australia, with around twenty-seven per cent of the population identifying as Indigenous. This is about fifty-seven thousand people. More than ten per cent of all Indigenous people in Australia live in the Territory. Almost half the land in the Northern Territory is Aboriginal owned. This land is held for us in Land Trusts under the Aboriginal Land Rights Act and is inalienable, communal, freehold title. We can’t sell it or give it away and we don’t want to but we do want to make a living off it if we can. The Northern Territory Government provides services to 96 remote communities and more than 500 homelands. Distance and isolation add extra costs to everything we do. A lack of infrastructure compared to major towns presents challenges in the delivery of health, education and other government services. These are not excuses they are the realities that I grew up with. Homelands, we call them outstations, have been a hot topic in recent times. The Northern Territory Homelands Program supports around 8000 Aboriginal Territorians living on homelands, on their own country and contributing to the economic, social and cultural life of the Northern Territory. We deliver our services through 36 regional service providers, 29 of these are Indigenous organisations and this means sustainable jobs for people living in the bush. We support people living on their own country as much as we can. I’m trying to make sure we do more. My own family has an outstation. We’ve got very little help through the years. This government will not close down any Homelands or tell people where they should live and what to do with their own land. But there is a limit to how much we can do to support them when there are so many problems. I will do my best with what we’ve got. The Northern Territory is one of the most linguistically diverse areas of the world, not just Australia. English is often not the first language of our communities. I want our government to know what the people themselves think, what they want to do for themselves and what they want government to do to support them. We are trying to empower local leaders through the ‘Community Champion’ model of engagement, to find ways to improve access to services in remote communities. Communities must be given the support and guidance to make their own informed decisions to build strong and economically sustainable futures. Through my portfolio of Community Services, the Northern Territory is leading the way in ensuring Aboriginal people are able to access government services through the Aboriginal Interpreter Services. Once again this means sustainable jobs for Aboriginal people. We have continued our commitment to informing the bush communities through ABC News Bulletins that are broadcast daily now in Warlpiri and Djambarrpuyngu. It’s a good start but I want to see many more languages involved. I was honoured to be appointed by the Prime Minister of Australia to represent the Northern Territory in providing advice to the Council of Australian Governments on violence against women and children, including domestic and family violence and sexual assault. Aboriginal women are at least 45 times more likely to be injured from domestic violence than non-Aboriginal women. It some places it is worse than that. My representation on this board is somewhat personal. White women can’t talk for us but they can support us. To make that role work I need to talk to more and more Aboriginal people, men and women. I want to hear directly from all our communities to give me ideas, advice and support in this difficult area. I am proud to be the Minister for Women’s and Men’s Policy. I want to make life better for all women in the NT and I want to give men the support they need to be better fathers, husbands and brothers. We will only solve the problems we have if we learn to love and respect each other more. We women need our men to be strong and happy and I want to hear more from our men on how the government can help to make that happen. The government will not tolerate violence against women and children. To get rid of this violence we need to do it in partnership with men. Domestic, family violence and sexual assault are everyone’s issues. One of our greatest assets is our land. We need to find ways of making better economic use of our land but we must, at the same time, keep our spiritual relationship to it. We say we don’t own the land it owns us. It’s been said many times and it’s true. But the land can look after us now in new ways. We want a sustainable and independent economic future but we need to nurture and care for our land while we are building that future. We are best placed to make decisions concerning our own land. Too many who say they support us have their own agenda that is not the same as ours. Together, government and communities can build partnerships. Aboriginal people can make informed decisions on maximising the benefits to their communities through land use. A great example of this can be seen on the Tiwi Islands. For those of you who don’t know this country, the Tiwi Islands are situated seventy kilometres north of Darwin and are home to about 2,700 people. The majority of Tiwi live in three major communities, Wurrumiyanga, on Bathurst Island, Pirlangimpi and Milikapiti, on Melville Island. I lived at Milikapiti for three years myself. 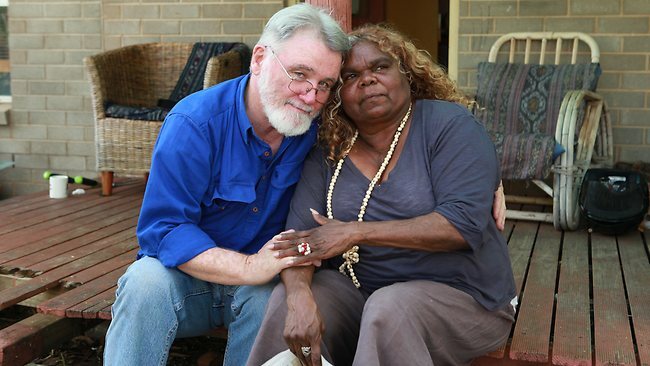 The Tiwi are like family to me as well. They have a long history of using their land to support business and economic development opportunities. They aren’t afraid of making money and using it wisely. Many ventures, including tourism, mining, agriculture, aquaculture and horticulture have worked well on their islands. They have just negotiated an agreement to support further development of the Islands. Earlier this year, the Northern Territory Government signed this historic agreement with the Tiwi Land Council and Tiwi Land Trust that will see up to 10,400 hectares of land made available on the island for private development. All of this was made easier because of the hard work of my colleague in Government Francis Xavier Kurrupuwu. He knows how to talk to and listen to his own people. We couldn’t have done it without him. I believe that the Tiwi Islands leasing model could become an example of how to achieve economic development in the bush. Tiwi Elders and leaders like the Chairman of the Tiwi Land Council, Mr Gibson Farmer, have been told by teachers on the Islands of the positive change in attitude of young people because of these developments. They have given these school children a new found purpose in life. They can see future job opportunities. They want to work but stay on their own country. We need to carefully negotiate land use strategies and development proposals. We can keep our cultures, look after the country and make sure our kids have jobs if we do it right. We won’t do that by sitting around complaining and acting like victims with no say in our lives. Last month, the Department of Local Government and Community Services hosted a Remote Housing Workshop to explore alternative housing models to support the rest of what we are trying to do. Participants (including local Traditional Owners) talked about community housing models, using local materials, alternative designs and construction methods and talking about a ‘slow-build’ model that gives locals a job and uses local businesses. This is what we need more of – local people telling us how they want the job done and we the government listening to them effectively. We’ve got a number of policies and strategies that support regional economic development and the providing services to people in the bush. I will now talk briefly about some of these. Framing the Future gives us the overarching policy direction for the Territory. There are four main elements to it, Prosperous Economy, Strong Society, Balanced Environment and Confident Culture. For this to work we availability of land to be available for development by investors. More importantly this presents opportunities for Aboriginal people and their communities. We have established an Indigenous Affairs portfolio to coordinate work on Closing the Gap. The Office of Aboriginal Affairs has been created to drive reform across government, making sure that Indigenous policy issues are given the priority they deserve. Through our Community Champions program there is a direct link between Aboriginal leaders from remote communities and government at the senior level. We want to make sure that community leaders can directly influence government’s economic development activities in their community. My department has also launched the First Circles engagement program. This is a new approach to encouraging future Aboriginal leaders from across the Territory to bring new voices to the conversation and help build the next generation of community leaders. First Circles allows young, future leaders to drive change within their community by direct engagement with Ministers’ and Cabinet. We have always listened to our elders. Now the time has come to listen to our young people too so that we have ongoing generations of wise elders. Nurturing social and cultural capital to strengthen social values and leadership to take on all forms of family violence. I released the Policy Framework for Northern Territory Women, 2015 to 2020, on the 10th of April this year. This sets out the direction and priorities for our government to advance the status of women in the Northern Territory. We developed it through a lot of consultation with NT women, community organisations and government departments. We received a lot of very helpful submissions from these groups. The Framework focuses on the contribution that women make to the Territory and where improvements or changes need to be made to give us equality between men and women. For me the aim of both the Women’s and Men’s Conferences is to celebrate the achievements of ordinary people in life within our homes, families, communities and workplaces under the theme “Keeping the Spirit Strong”. I am tired of all the negativity. I have just been talking like a politician but I know you can’t fool our people with big words. I’m only human and I make mistakes. When that happens the dingoes circle and try to come in for the kill. But I grew up with dingoes so I’m not afraid of them. The opposition attacks me in parliament and the journalists criticise everything I say and do. They want to make me look like a dumb bush blackfella being led around by the nose by the big, bad Conservatives. My people have always been Conservatives. The Liberals gave us our first, Aboriginal parliamentarian, Senator Neville Bonner. They gave us our first Aboriginal member of the House of representatives, Ken Wyatt. The first Aboriginal MLA in the NT was Stanley Tipaloura, a Tiwi, sat with the CLP. And now we have given you the first government in our history with an Indigenous leader. I can tell you that I am my own woman. Nobody tells me what to think. I am the only woman in Cabinet and all those big, powerful white men in there with me listen to me with respect and let me have my way. You want see me spitting the dummy and playing the victim. I have seen old allies turn on us. That’s politics. If you let such things scare you then you shouldn’t be in the game. I am not frightened when a so called activist threatens to kill me and my family on social media or I am attacked and vilified by those who pretend they know my people better than I do or just because I am a woman. Or when my ex colleagues try to undermine everything I do. This doesn’t bother me. I will stick to what I know what is right and what I believe to be true. That is what my parents taught me. I walked out of parliament one day to see a group of school kids from a Top End bush community. A little girl with big, wide eyes said to me ‘ hey, you’re that government woman!’ I asked her where she was from and she told me ‘Kunpalanya’. I told her that my skin name in that country was ‘Ngalbulany’. ‘Hey I call you sister’ she said and I could see the pride in her smiling eyes. Her community is a long way from mine I the desert, hers is in the tropical North. Her language is totally different from mine not even in the same language family. Her culture is different from mine. We even look different. But we are still sisters. And that day she knew that one day she could be a ‘government woman’ too, like her Warlpiri sister, when the time comes. Young men from Galiwink’u and Warruwi working on repairs and maintenance of government houses told me that they always see me and listen to me on TV. ‘And we see you live now’ they said and asked to have their photos taken with me. These are young men from country far away from mine but they know that like them, I’m just a bush black fella. The women of Lajamanu speak my language and they have told me straight that I speak for them. This is what keeps me going, the feedback directly from the bush from my mob and all the others. We can do it ourselves if we support each other despite the differences. I know we can. I look forward to hearing about the ideas you share over the coming days. Our spirits have always been strong. We have to make ourselves strong to honour them. The Hon Bess Nungarrayi Price MLA is the Member for Stuart in the Northern Territory and the Minister for Local Government and Community Services, Housing, Women’s Policy, Men’s Policy, Parks and Wildlife and Statehood.